Militants from the Islamic State terrorist group (IS, banned in Russia) have attacked a refugee camp in Syria's town of Al-Bahra and captured 130 families totaling 700 people, Lt. Gen. Vladimir Savchenko, head of the RussianCenter for Syrian reconciliation, said Monday. 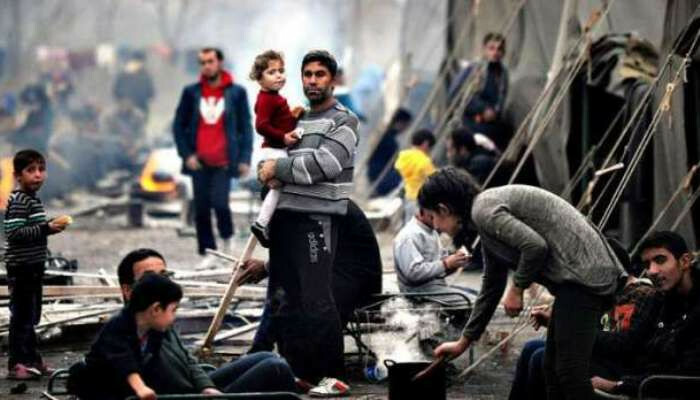 "Taking advantage of complete impunity, the IS militantsattacked a refugee camp in the Al-Bahra area on October13, capturing 130 families of about 700 people, and transporting them to Hajin," Savchenko said at a newsbriefing. The general stressed that the abducted civilians were de-facto taken hostage and could be used by terrorists as a "human shield" to protect the militants from the possible attack by the SyrianDemocratic Forces (SDF) advancing towards the last IS-occupied areas on the eastern bank of the Euphrates River.